Gum disease is an umbrella term used to describe any form of infection on the supporting structures that hold a tooth in its place in the jaw. It usually involves infection of the gums and bone. There is a wide spectrum of conditions that are labelled Gum Disease. They can range from simple inflammation of the gums to widespread infection that leaves the teeth loose as in Advanced Chronic Periodontitis. Gingivitis is when there is any level of inflammation of the gums. The gums are reacting to foreign toxins produced by the bacteria. This can range from mild, moderate to advanced. Once the tooth has reached the advanced stage the infection then it begins to affect the jaw bone surrounding the tooth as well. Gingivitis can be “Acute” where it is very painful or “Chronic” where there is no pain but there are other symptoms of deterioration. Peri-Implantitis is when the gum disease has spread not around natural teeth but around implants. When the bone becomes infected as well as the gums, the condition is called Periodontitis. This can also range from mild to moderate to advanced. Mild Periodontitis is when the bone is just starting to become affected and is being “eaten” away by the bacteria. Once the infection moves on to the advanced stages the teeth become very loose, unstable and painful. Again, Periodontitis can be “Acute” where there is pain and inflammation or “Chronic” where the deterioration is silent and unnoticed without a professional examination. Gum Disease is caused by a build-up of the bacteria which live in the plaque and tartar on your teeth. The harmful chemicals produced by the bacteria irritate your gums causing them to bleed. If you don't remove plaque everyday, you may find that your gums become swollen and red and that they bleed easily when you brush your teeth. It is known that approximately 80% of the population has some level of gum disease. For this reason, at the Perfect Smile Studios we take this condition very seriously. As gum disease progresses, your gums may pull away from your teeth to form pockets or gaps between your teeth and gums. 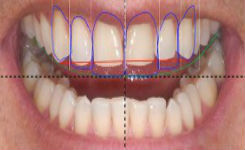 We call these gaps Periodontal Pockets. As periodontal pockets can be very difficult to clean out properly, they tend to fill up with more plaque and tartar and become infected. Know about periodontic specialists. If allowed to progress this infection spreads further causing your teeth to become loose. Therefore, regular removal of bacteria, plaque and tartar professionally by the hygienist & cosmetic dentist is essential to maintain healthy gums. Excellent home care is also vital. Your teeth themselves can also become infected as well as the surrounding supporting structures. It is important to note that Gum Disease is also known as the silent disease since in many cases you may have no symptoms until the situation advances and deteriorates the supporting structures of the teeth. Book here if you live in Hertfordshire or London or call our practice on 01992 552115. We can then go on to book you in for a comprehensive assessment and evaluation with one of our dentists, who will look at your teeth, gums, soft tissues and bite. They will then formulate a customised Treatment Plan specifically for your situation and requirements. We can also book you in for a consultation with our Hygiene Therapist. We are at this stage able to assist you with potential options available to you. 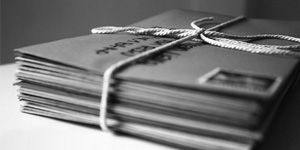 Depending on your requirements we can customise and tailor-make individual treatments plans to suit your needs and budgets. Having a healthy mouth is the first place to start. Our dentists can treat your gum for any issues. Root Canal Treatment is required if the core of the tooth has an infection, normally the result of gum disease, tooth decay or injury. 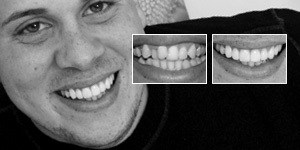 It takes only minutes to fill in our Quiz to find out how close you are to your optimal smile. This will help you to decide which treatment is suitable for you.